As we type this, the Whip-poor-wills have begun singing on the ridge that borders our east side. The Whip-poor-wills sing in the evening as they make their way from their home on the forest floor of that ridge, across our solarium patio to our orchard, where they like to spend the late evening hours. As a proud site on the North Carolina Birding Trail, we’re excited to share that the Mountains Region will have its Grand Opening on June 25. The guide for the region’s 105 sites (of which four sites are in our county and seven are in neighboring Buncombe County that includes Asheville), will also be unveiled at that time and we can’t wait to see the guide. The NC Birding Trail has done such an excellent job with the Coastal and Piedmont region guides, and we have copies of those at the Inn for anyone who wants to check birding sites across our state. 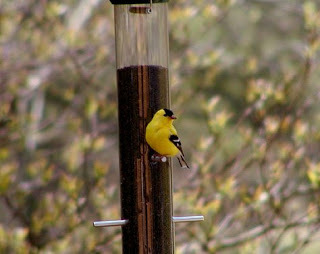 We welcome the birding community to come out to the Inn to enjoy the many species of birds who live in our neck of the woods: Pisgah National Forest. Since we are a private property, we do request that you call us (828.668.1115) or send an e-mail to make an appointment for birding activities at and around the Inn. We look forward to sharing our beautiful birding spot with you! 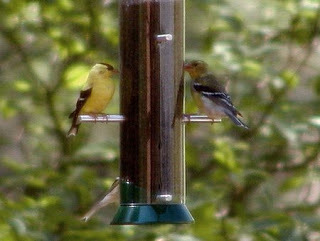 This entry was posted in Uncategorized and tagged birding, festivals and special events by Inn on Mill Creek. Bookmark the permalink.